It is not only food items or snacks that complement each other. Furniture pieces that you cannot do without when it comes to augmenting your style and ease your hectic lifestyle are now in trend. You cannot imagine an armchair or an Italian sofa without a modern footstool. What if we tell you that we design, create and sell the perfect contemporary footstools that will match your style and budget. 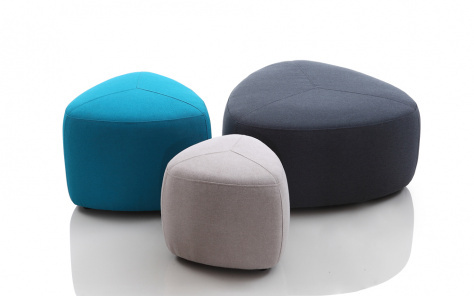 Our wide range of ottoman footstools created out of materials like wood or metal and upholstered with leather or fabric means that there is no dearth of choice for our customers looking to furnish their houses. Whether you are planning to move to your new abode or consider refurbishing your place, why not furnish your place with our range of exclusive furniture! You could also wait for our special seasonal discounts to keep up with the nation’s festive mood. Many of our customers seek contemporary and casual lounge furniture that blends style with creativity. For those, who love the new, sleek look instead of the old and modern look of furniture, we have shared on our website images of our new luxury footstool range that are being sold at affordable rates. You will find the most awesome and jaw-dropping designs of furniture on our website. Driven by the desire to deliver contemporary and high-quality Italian furniture, we strive to attain perfection in almost every item of furniture we sell. Inspired by customers’ needs and the variety of nature around ourselves in addition to changing needs and desires, one finds bespoke products that are unique in design and lend a personal touch to the spaces that they are used to decorate. Our product range is unparalleled and continues to beat the market competition in terms of style and utility. Customer appreciation has stimulated and motivated us to excel and stay ahead of our peers and competitors.